The pathetic performance from Mumbai Indians continued in the Indian Premier League, 2015, when they got another humiliation from Delhi Daredevils by 37 runs in their previous game. That was their fifth defeat in the event from six games, have earned two mere points and are placed at no.8. Sunrisers Hyderabad, however, improved their record by winning their second match of the event against Kolkata Knight Riders while clinching it by 16 runs (D/L method). They have played five games, got four points, find themselves at the fifth position and will try to enhance it further when they take over MI in the coming encounter. Rohit Sharma, Ambati Rayudu and Parthiv Patel were the only batsmen of MI who resisted against the bowling of Delhi Daredevils by scoring 30, 30 and 28 runs. Lendl Simmons, Unmukt Chand, Kieron Pollard and Hardik Pandya should be more positive in their approach to win the games for their team. Mitchell McClenaghan, Lasith Malinga, Jasprit Bumrah and Harbhajan Singh must add more spices in their bowling. David Warner along with Shikhar Dhawan shared a breezy opening partnership of 130 for SRH vs. KKR with their individual scores of 91 and 54. Ravi Bopara, Naman Ojha and Lokesh Rahul are supporting batsmen while Moises Henriques and Karn Sharma are fine all-rounders. Their bowling revolves around Pravin Kumar, Bhuvneshwar Kumar, Dale Steyn and Bipul Sharma. Saturday, April 25, 2015 @ 10:30 GMT, 16:00 local at Wankhede Stadium, Mumbai. A clear blue sky during the day with the temperatures around 28-33ᵒC. The winning captain will prefer to chase the target after winning the toss. The wicket was found batting friendly in the 12th match of the tournament played between MI and CSK. 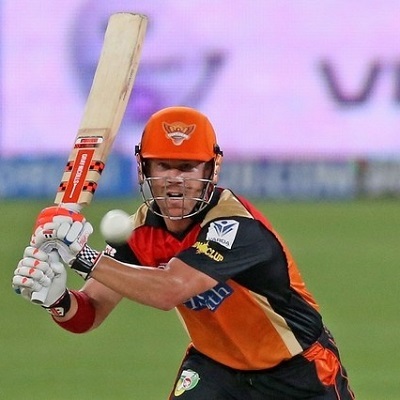 Sunrisers Hyderabad – David Warner (C), Shikhar Dhawan, Lokesh Rahul, Naman Ojha, Ravi Bopara, Moises Henriques, Karn Sharma, Pravin Kumar, Bhuvneshwar Kumar, Bipul Sharma, Dale Steyn. SRH can win the forthcoming match keeping in view the present output by MI. SRH are better than sleeping MI so they will remain my fav. Sent. It's account opening guide and not betting guide. Munna Bhai I am new members how can play baitfair and tips following details ? Munna bhai please send me bible ASAP by which i'll bet. m following ur views from quite a time nw..
u r doing a fab job..
would love to have ur trading and account opening guide..
We have moved to a new platform and we are in the process of fixing few things. Have some more patience and we will sort it all out soon. If you are not able to login then click on forgot password to get a new password. Your username might have changed as well so use your email id to login. If you have any issues then contact me via contact page. You can find Contact link at the bottom of page. After login go to My Account and update your profile. You can also update your avatar from there. Mamu website is loading slower than older platform. Look into this as well. Few more fine tuning needs to be done. Developer ko tight karo bina testing ke live kar diya. Sent, everything is in the guide. csk vs kxip ki match maay mujhe kya karna cahiye?? srh vs mi ki match may kya khelna cahiye??? Plz munna bhai help me netteller se money out kaise krun apne bank ac m..
Munna bhai how to get in touch with you? Munna bhai please send me you betting guide book!! Bhai aaj kon jeetega ? I heard Steyn & Boult are playing together in the game to tackle Mumbai's strong batting line up. Can this happen..?? I've sent guide to all those who have requested. Do not write your email in the comments as I get it from admin. For any issues with betting sites or eWallets use Forum to start discussion. Keep these spaces only for discussing the match related strategies. Hyderabad is strong. My trading will be on SRH but I'll keep an eye on MI batsmen. Bihari bhaiya tips dijiye kyon naraz hain humse. Hello, I'm new here. Today I've gone to Mumbai Indian's side. Done n dusted, another profit. As predicted SRH bowlers strangled fragile MI explosive batting lineup and got the job done.